❧ Kim … I’ve lived my entire life in Utah. The state has its quirks, for sure, but the outdoor scene can’t be beat. It’s unbelievably gorgeous here. And it happens to be home to quite a few really well-known authors. 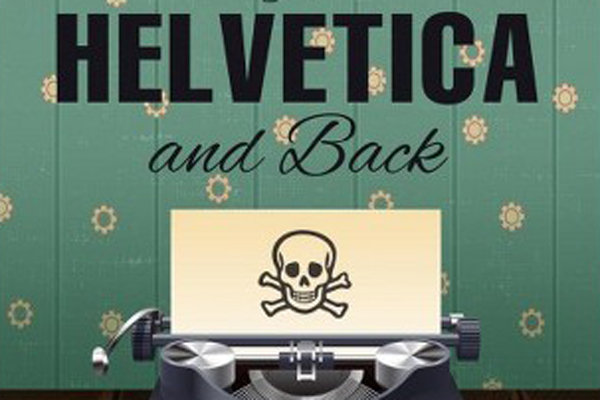 Needing something on the lighter side (and because I haven’t read one in ages) I’ve decided to go with a cozy mystery set in Utah – To Helvetica and Back, Paige Shelton. ❧ Tanya … I grew up in Jamaica, so my choice is a book set in my home country – Augustown, Kei Miller. A poor suburban sprawl in the Jamaican heartland, Augustown is a place where many things that should happen don’t, and plenty of things that shouldn’t happen do. The story of Kaia leads back to another momentous day in Jamaican history, the birth of the Rastafari and the desire for a better life. Remember to use the linky below to link up to your reads for this month and make sure to check out the other links as well!